Why am I a Brick House Chick? Because I am mighty mighty and I’m letting it all hang out. And, they tell me I am a strong woman. Brick House strong. Nothing can destroy me. The big bad wolf has tried, many times but he has not been able to blow me down. I usually end up knocking him down with a little wave of my index finger and some swearing – in Spanish, because it’s more satisfying. I live with two chronic illnesses that try to define me. Rheumatoid Arthritis and Fibromyalgia. I did not invite them to live with me, they just barged right in and made themselves at home. They are badasses, for sure, but I put up a good fight. Except when I’m exhausted, which is often. My biggest weapon is humor. This weapon protects me on a daily basis even when nothing seems to be funny. Oh, and wine. Wine is my friend. She cares about me and makes me feel better. I love her. Besides eating and wine, I love dancing. It’s in my bones and soul. RA and Fibro are good at turning off my music and making me sit down but I usually ignore them even though I pay for it afterwards. It is worth every joint pain and swelling to get lost in the music and dance. I bet you too are a Brick House. Many of us are. Stick around here with me and we’ll dance together and build an even bigger brick structure. I was thinking, a Brick Hotel. I may not be a 24,36,24 but I am stacked, that’s a fact and I ain’t holding nothing back. The Commodores’, Brick House. Click the link below & dance along! It appears we have a lot in common — living with invisible illnesses (MS and Hashimoto’s) which we refuse to let define us; using a twisted sense of humour to reign victorious over it all; love to swear, eat, drink; who knows what else but I’m sure there’s probably lots more. I’m looking forward to getting to know you and to following your blog. Take that, you big bad ole wimpy wolf! Regarding your recent post about snoring…I have sleep apnea. I use a CPAP machine at night. Shortly after getting said machine, I was told by a not to happy and very tired but ever so loving partner that I was still snoring over it, through my mouth. Great. I quickly looked to my medical professional and they suggested a chin strap. Turns out a chin strap is inexpensive and can be used by non CPAP wearers too…who breathe heavily from their mouth. Essentially it gently holds your mouth closed and forces you to use your nose. It does take a little getting used to but it is soft and the best option I have ever found. There are thousands of options for price, comfort and even color. Just go to amazon and enter sleep apnea chin strap. Good luck! 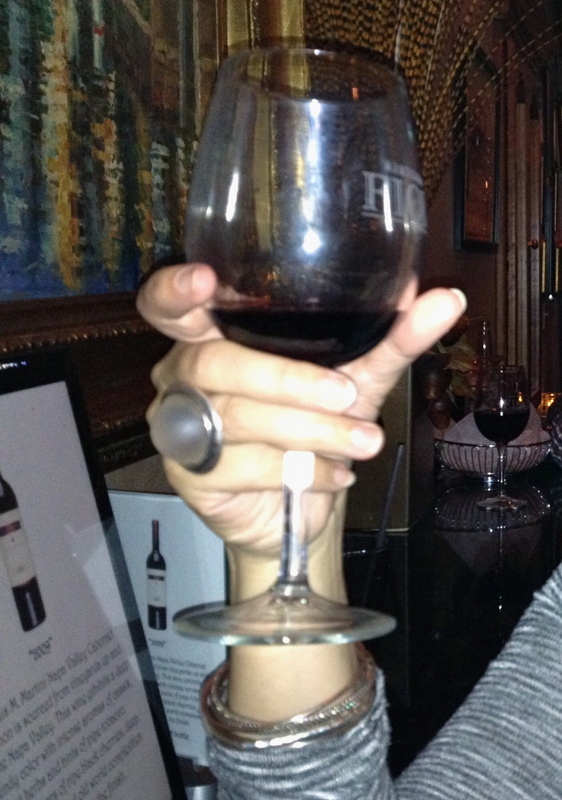 Wine is one of my besties too…..can’t live without her. Cheers.